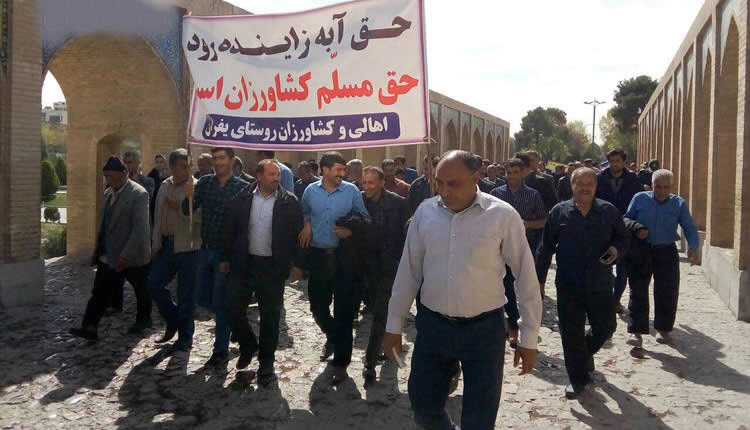 Workers from various sectors of the Haft-Tapeh sugarcane Company located in a region of the same name in the Southwestern city of Shush, including farmers in the agricultural sector, went on strike since the morning of Tuesday, March 28, and stopped working on sugarcane production. They marched while chanting the slogan “We are Haft-Tapeh workers; we are hungry” as well as slogans against government-affiliated employers. They carried a banner which said in the new Iranian year, the workers of Haft-Tapeh have nothing to eat. They object to the failure to pay their salaries and their rewards and bonus. They also protest the division of agricultural lands between several government employers, which would lead to plundering workers and lay off 1,200 of them. They called for a working group to address workers’ problems. Failure to comply with the promises by the regime officials and the employer will force the deprived workers of Haft-Tapeh Sugarcane factory to strike again. 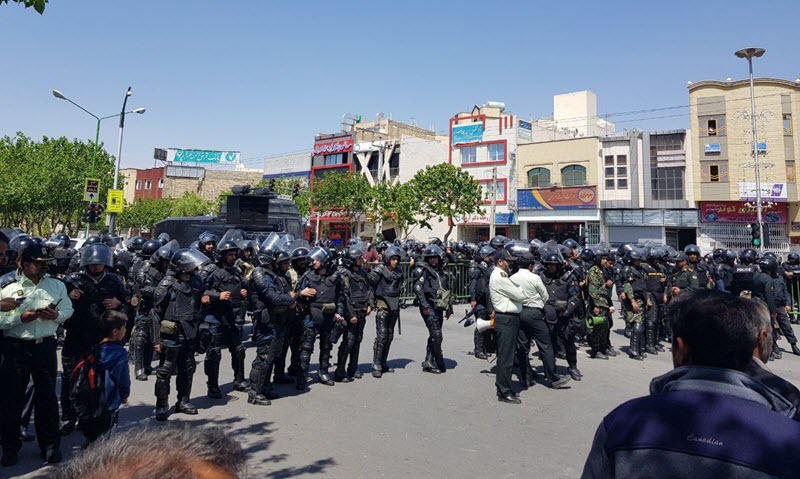 The efforts of the Ministry of Intelligence and other repressive organs, which, with all kinds of threats and arrests of workers, seek to intimidate them and prevent the spread of this protest movement, has failed each time with the resistance of workers. On the same day, the deprived quake-stricken people in the village of Tapani in Sar-Pol Zahab, whose houses were completely destroyed, gathered in protest of nearly four months of uncertainty and lack of shelter for their families. The banner they carried read: We do not want anything, we only want land to build house; we need loans; we the people of Tapani have no shelter. On Monday, March 26, more than 400 farmers of Eastern Isfahan called for their demands to be met at the Khaju Bridge. Deprived farmers are demanding the right to water and rehabilitation of destroyed agriculture in the eastern cities of Isfahan. 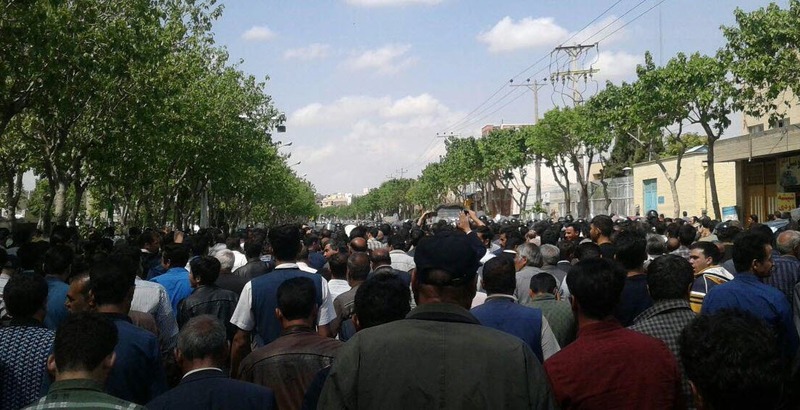 In Rasht, despite the threats and pressures of the director of the factory, the Labor Office and Police Department, the workers of Iran Poplin Company continued their protest for the second day against the expulsion of four workers’ representatives. They carried banners which wrote: “Everyone or no one!” Following the workers’ resistance, the mullahs’ regime was forced to release the detained workers’ representatives. In Andimeshk, the workers of the Omran Arya Cement Company stage a protest gathering to demand their unpaid salaries for one year. On the orders of the predatory management of this company, all contracts have been reduced from three months to one month, and insignificant salaries of workers are paid every three months. Writing slogan against the leaders of the regime and its repressive organs continues. One of the slogans says: The Revolutionary Guards are the cause for suppression, poverty, drought and corruption in this country.